Whether your company has one vehicle or dozens on the road, smart management can save you money. Familiarity with tax laws, simple maintenance steps and high-tech solutions can reduce the costs of operating your fleet and keep it safer. You can deduct certain amounts for depreciation of vehicles used for business purposes, including passenger cars and light trucks or vans. Consult with your PDR tax advisor for the details. You can deduct the business-use percentage of such operating costs as gasoline, oil, maintenance, insurance, registration fees and licenses. If you lease, you can deduct the business-use percentage of your monthly payments. Deductions are slightly reduced for certain passenger cars and light trucks and vans. You can also write off the business-use percentage of operating costs for a leased vehicle. Whether you buy or lease, keep good records of the business miles you drive for tax purposes. Check the air pressure of your tires daily when they are cold and fill if necessary. Low air pressure causes stress and irregular wear that can result in loss of control. Inspect tires every 30 days for wear and evidence that the suspension isn't aligned properly. Rotate tires regularly to help achieve more uniform wear. The guideline for tire rotation is approximately every 6,000 miles. Avoid premium gasoline unless necessary. If your vehicles don't specifically require an upgraded fuel, buy regular unleaded. Shop around when you hire out routine maintenance. Costs can vary as much as 50% depending on which shop you use. Consider doing in-house maintenance. Your business can be more productive if your vehicles continue to run during normal hours and are serviced by staff mechanics after hours. Keep your fleet in a garage or parked under a carport. It helps keep them in better condition and if garaged, may lower your insurance cost. Shop for insurance. Re-bid your insurance policy to make sure you're getting the best deal. Encourage safety. Run a motor vehicle report on every driver in the company. Revoke driving privileges for those with multiple infractions. Consider rewarding those with good records. Don't forget those subtle, easily overlooked costs. Getting lost or caught in traffic jams can waste substantial gas and time for those who spend many hours on the road. When you buy new cars, consider a Global Positioning System. It can be worth the monthly service charge. These systems, such as OnStar, are built into a number of vehicles. If your cars don't have GPS, a bevy of services have sprung up that can be helpful. For employers that want to keep a close eye on their staff members in company cars and trucks, there are tracking devices that allow complete surveillance. These services also assist in finding stolen vehicles. For example, some systems track by satellite, letting you know exactly where vehicles are and allowing you to check their speed. If a car or truck exceeds a set limit, the system automatically honks the horn and flashes the parking lights, to signal the driver to slow down. 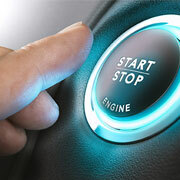 If you want the driver to stay put, you can disable the starter. You can also track the vehicle from the Internet and set a perimeter of up to 30 miles. If the perimeter is broken, the company calls, e-mails or texts to alert you. The unit also notifies vehicle owners if the car has been in a collision. Keep in mind: A company vehicle program that combines tax savings, maintenance, safety and efficiency can reduce liability and save your firm a bundle.